Yes I saw it in full flower in Pigi too. I grow Clematis flammula too. but wish I didn't have it. My seed came years ago from the Hardy Plant Society seed exchange. It grew marvellously well and soon covered a large holly tree. It flowered brilliantly and filled the air with a glorious sweet perfume. And the fluffy seed heads looked wonderful in Autumn. Then the seed heads shattered and the seeds were carried away on the breezes. Oh Dear! The seedlings came up everywhere, hundreds and hundreds of them. After several years applying ivy & blackberry killer to the main plant it is finally dead but the seedlings still appear and I am still swabbing them. It is one very tough plant and having no natural enemies here it tends to become rampant and too willing. In my experience it should be regarded as having weed potential outside its natural habitats. 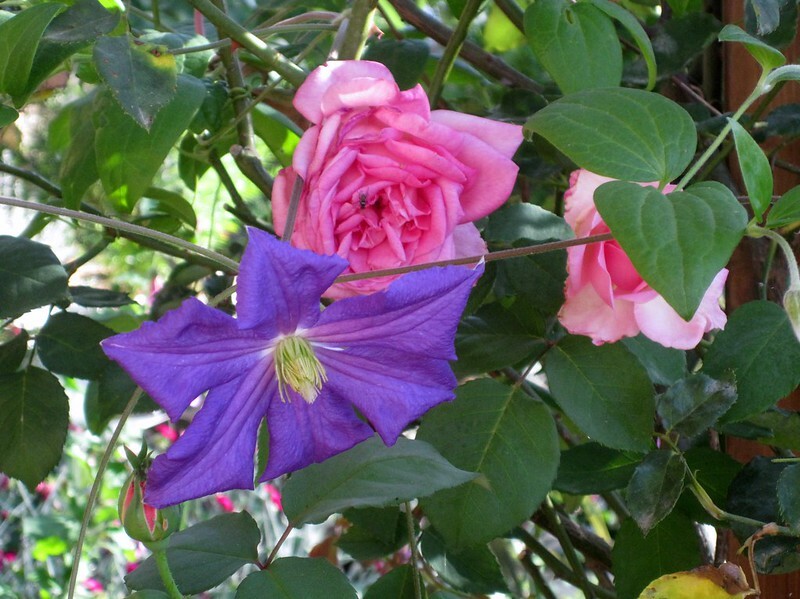 I should have added that Clematis campaniflora has a strong tendency to run amok too, given the chance. Clematis viticella the species that is, is somewhat better behaved but still seeds about and show a little variation. This Clematis texensis is a gentle climber and no self sown seedlings! 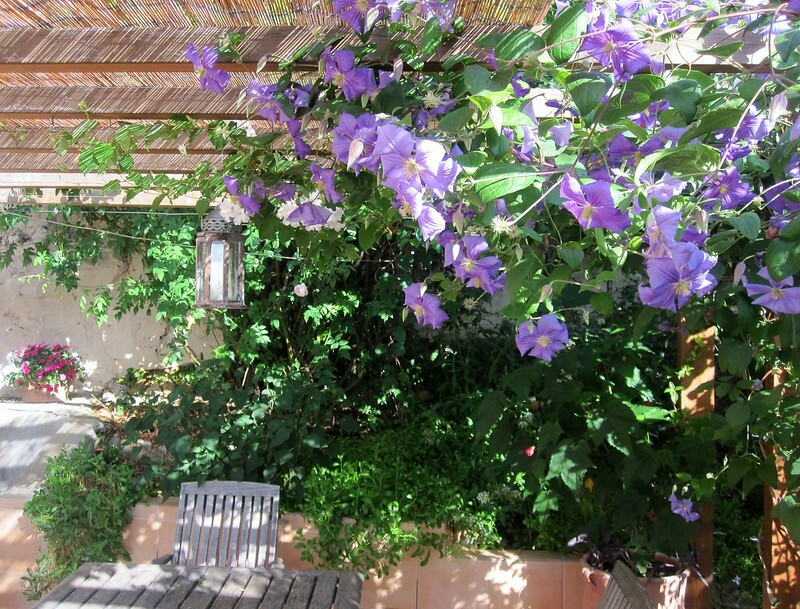 Talking of clematis, does anyone who lives in Italy have any idea where I would be able to buy clematis. The only variety I have seen around our area is clematis armandii. Dont mention seeds, lifes to short. Pete and Jan. Retired 15 years ago and moved to Le Marche, Italy for the peace and quiet of the countryside and more sunshine, where gardening became a challenge. We now have a lovely garden with an eclectic selection of plants including many wild flowers of which we are found of.. 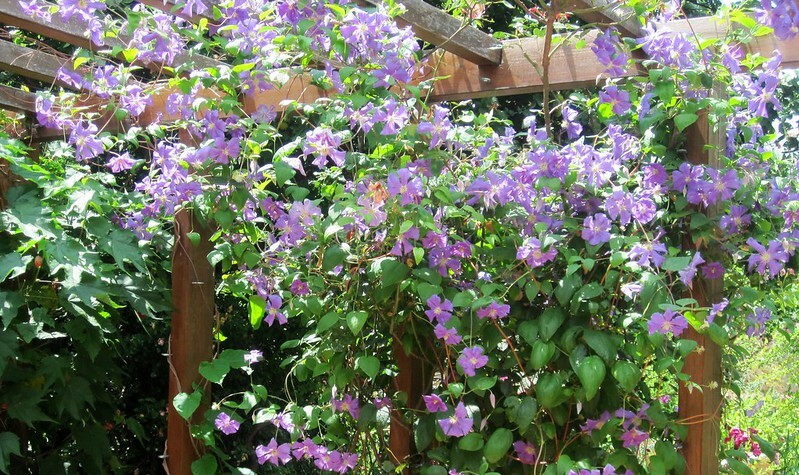 There is a selection of clematis available from http://www.vivaipriola.it/arbusti?specie=Clematis. I can vouch for them, having received plants via post a couple of times from them. You will need to contact them to obtain their bank details, pay for your agreed order through your bank (post office? ), email them to send them the transaction details and your plants will arrive within 24hrs of the date they give you as the postal date. On the following blog page there is a fairly extensive list of what is going on Italy wide http://fioriefoglie.tgcom24.it/wpmu/fiere-e-manifestazioni-di-giardinaggio/. Thank you David, I should be able to find something from all this info. Much appreciated. 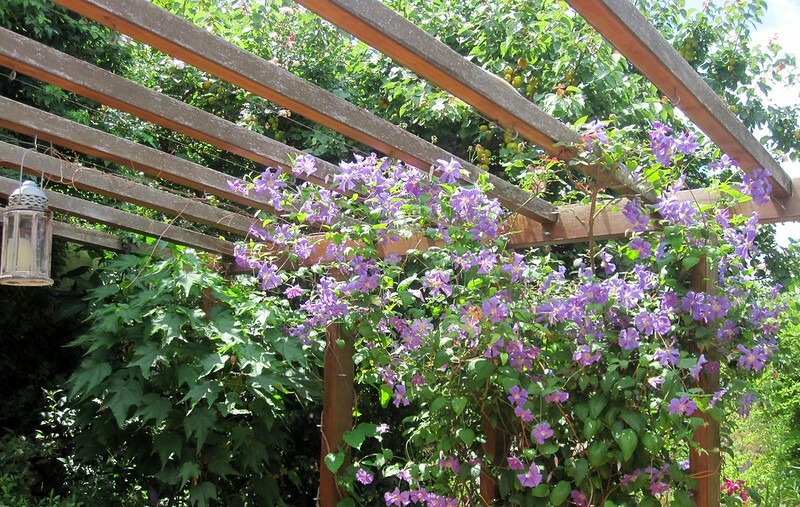 Here is my Clematis Perle d'Azur a couple of weeks ago. The heat wave we have had since then, has put paid to this seasons flowering, but I know that it will flower for a second time in the autumn. A year later and here is my Perle d'Azur now. The Mandevilla laxa which was flowering with it last year, is only just starting to form the first buds this year. All the tender plants are later his year. We have had a long and cool spring. Beautiful Fermi, I love the " nodding" flowered Clematis and this one is a stunner. 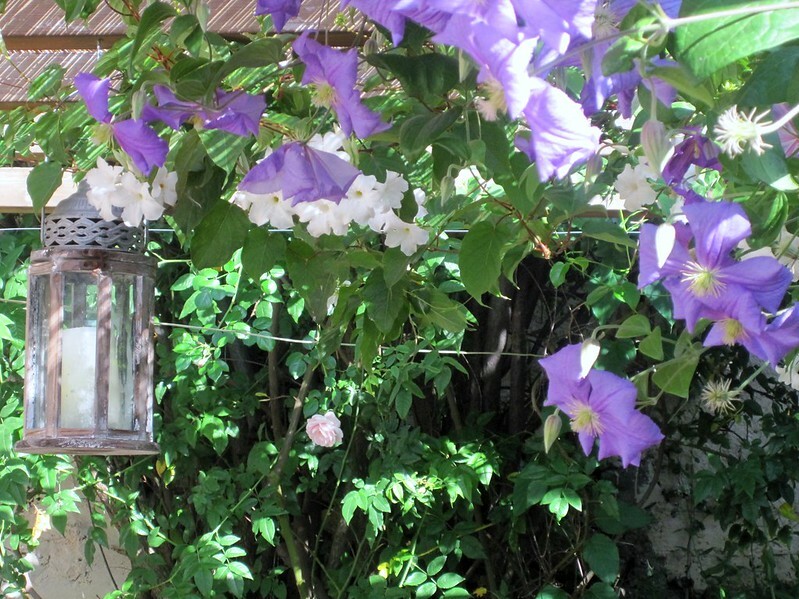 I have had great success with Clematis rehderiana also planted on the cooler side of the house and as well as beautiful bunches of flowers the perfume fills the small area where it is planted.